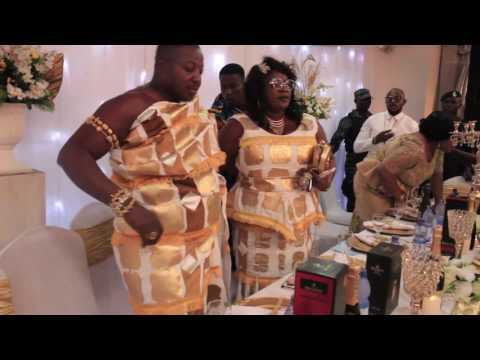 Mercy Asiedu And Husband Display At Vivian Jill Lawrence’s Son’s Naming Ceremony Mercy Asiedu And Husband Display At Vivian Jill Lawrence’s Son’s Naming Ceremony Top Ghanaian actress Vivian Jill Lawrence after months of giving birth to her new son has outdoored him. There was a naming ceremony organised on Saturday, June 17 in Kumasi and almost all the top actors in the Ghanaian movie industry were present. One of the few couples who gained the attention of the event was actress Mercy Asiedu and husband Nana Agyemang Badu, who happens to be the chief of Kunsu in the Ahafo Ano South District of the Ashanti Region. The couple during the event got on the dancefloor to display for all to enjoy their dance moves. Mercy and Nana Agyemang Badu married on April 2 this year. Top Ghanaian actress Vivian Jill Lawrence after months of giving birth to her new son has outdoored him. There was a naming ceremony organised on Saturday, June 17 in Kumasi and almost all the top actors in the Ghanaian movie industry were present. One of the few couples who gained the attention of the event was actress Mercy Asiedu and husband Nana Agyemang Badu, who happens to be the chief of Kunsu in the Ahafo Ano South District of the Ashanti Region. The couple during the event got on the dancefloor to display for all to enjoy their dance moves. Mercy and Nana Agyemang Badu married on April 2 this year.